We're excited to be back in the saddle in Stamford, officially!! It's been six years since HMF last produced the Navigators Stamford KIC IT Races and we've been asked to bring our organizational expertise, dedicated staff and love of triathlon back to benefit this great event, a major fundraiser for Kids in Crisis. Be ready to experience some HMF updates – our operations team has tweaked the Olympic and Sprint tri courses, particularly the bike portion, to ensure a safe and enjoyable ride. We hope your experience with us exceeds expectation. 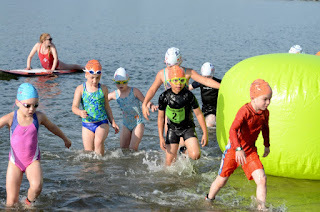 Safety is our top priority in all events we produce, and multi-sport races like triathlon present varying levels of complexity when it comes to smooth operations...and then there's the kids triathlon: crazy, hectic, but super fun rallying fierce little ones to achieve their goals. It's a big weekend all around - June 23 and 24. The kids triathlon kicks off Saturday morning for 6 to 15 year olds to swim, bike and run their way to an outstanding personal achievement. This kids-only event is timed and race distance varies by age to offer a great opportunity to introduce children to the sport of triathlon. A family 5K follows later that morning with packet pick-up for Sunday's triathlon races on Saturday afternoon. The day will also serve as a 40th anniversary celebration for Kids in Crisis. Expect kids activities, live music and a family festival. The Olympic and Sprint distance triathlons kick off early Sunday morning, starting and finishing on Cummings Beach. This race is truly unique in that it offers athletes of every age the opportunity to compete and fundraise for the cause, providing free event registration to those that commit to and secure fundraising levels. Proceeds benefit the incredible local work of Kids in Crisis, Connecticut's only free, round-the-clock crisis counseling center and emergency shelter for children newborn to 17. If you can't join us in Stamford, you can still fundraise for this great cause here: https://www.crowdrise.com/o/en/campaign/navigators-stamford-kic-it-races. A great race in a great place for a great cause, HMF is proud to be part of the action! Next weekend’s Burlington to Collinsville Classic 10K shows off two beautiful communities along the quiet and serene multi-use trail. Check it out with us in a free course preview fun run with Team HMF on Thursday, May 3, at 6:00 pm. Sign-up form and details below! The 4-mile preview will run out and back on the multi-use trail and will be led by Jeanne Corey and Kim Marchand of Team HMF. Following the run, join them at Lisa’s Crown & Hammer for food and drink specials - because every good run deserves a happy hour! 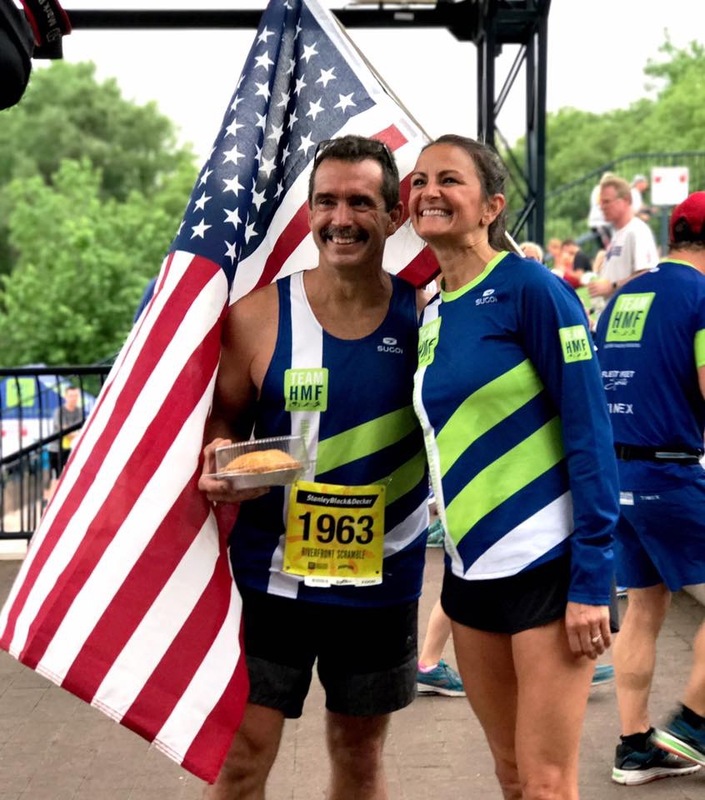 Jeanne works full time at Travelers Insurance Company and part time on weekends as a Marathon coach for Fleet Feet for the past 5 years. "I love to coaching new runners and to be able to share my experiences and lessons learned throughout the years. I’m looking forward to meeting and running with everyone. Please make sure to let us know if the race will be your first time running this distance!" Kim works full time as an Electrical Contractor and on weekends he is also a coach for Fleet Feet’s marathon training program. "I’ve been running since 2004 and completed a variety of distances. I’m looking forward to meeting everyone at the course preview run and hearing your stories. I’ve run this race the past 2 years and would love to answer any questions you may have on the race or logistics." Location: Burlington to Collinsville Classic 10K finish line (near the bridge on the multi-use trail off Depot Street in Collinsville). Distance: 4 miles on the multi-use trail. Please note if you plan to register for the Burlington to Collinsville Classic 10K, we expect to sell out before race day. Everyone who registers by April 29 will have their bib mailed to them!